2006’s Inside Man offers an unusual concept: Spike Lee, hired hand. For his prior efforts, Lee always acted as producer as well, and he usually wrote or co-wrote the projects. On Man, Lee earned a credit solely as a director for the first time. Man also created another new idea: Spike Lee, successful commercial director. The film pulled in a pretty decent $88 million, a figure that made it easily his biggest hit. 1992’s Malcolm X stands a distant second at $48 million. Man wasn’t a remarkable success – I think the summer’s Pirates of the Caribbean sequel made $88 million in its first 20 minutes – but for a director with so little commercial success over his career, it’s a nice take. Man immediately introduces us to Dalton Russell (Clive Owen) as he addresses the camera and tells us about his decision to implement the “perfect bank robbery”. The movie then follows his efforts. Disguised as painters, Dalton and his cohorts enter the facility and create a hostage situation. Understandably, this action brings in the involvement of the police. Detective Keith Frazier (Denzel Washington) and his partner Detective Bill Mitchell (Chiwetel Ejiofor) head off to negotiate with the crooks. Keith has background issues, as he’s in hot water for allegedly lifting more than $100,000 in confiscated money. He becomes the chief negotiator and tries to work out matters with the robbers. Another complication stems from the history of the bank’s chairman, Arthur Case (Christopher Plummer). He keeps some sensitive personal property in the location’s safe deposit box, and he wants to make sure it stays private. To this end, Case hires Madeleine White (Jodie Foster), a woman with extensive connections who seems able to handle all sorts of unusual problems suffered by the super rich. The movie follows all these different threads as the robbery runs its course. Lee proves adept when put in charge of a strictly commercial proposition like this, but don’t take that to mean he doesn’t provide some of his usual editorializing. He throws out a couple of elements that make social comments, and most of these mesh into the story just fine. I could live without the obvious assault on violent video games, though. This comes out of nowhere and stands out like a sore thumb. Otherwise, Lee manages to hold his preachy tendencies in check as he delivers a more than decent thriller. Man doesn’t reinvent the wheel, but it forms a solid caper flick. Inventive, creative and bright, the story moves briskly with little fat and keeps up a tight pace. It helps that Man boasts an excellent cast. This group couldn’t be much better, really, and all do solid work. They enjoy more dimensional characters than we usually find for a thriller as well. Dalton provides an interesting set of contradictions, and none of the others come across as simplistic or one-dimensional. I like the film’s slightly skewed chronological structure as well. It mostly goes with the natural order of events, but some elements – particularly the post-robbery interviews – spice up the narrative. This functions well to involve us in the action, as the story slowly dollops out information as it forces us to keep up with the concepts. The tale allows us to piece things together but never becomes either simplistic or too confusing. Inside Man balances a nice sense of humor with tension and drama as well. All of this allows it to work quite well. I find few reasons to complain about this solid crime drama. Inside Man appears in an aspect ratio of approximately 2.35:1 on this Blu-ray Disc. This was a good but not great image. For the most part, sharpness seemed positive. Some light softness crept in at times, but not with any real frequency. Instead, most of the flick appeared well defined and detailed. No issues with jagged edges or shimmering occurred, and only mild edge haloes appeared. Print flaws failed to mar the proceedings. Man presented a limited palette that emphasized teal. Within these constraints, the hues appeared fairly well-rendered, though they could feel a bit flat. Black levels seemed reasonably deep and firm, but shadows could be a little iffy. Some low-light shots were murkier than expected, though most were fine. Ultimately, Inside Man seemed a little erratic but generally positive. As for the audio, Inside Man presented a more than adequate DTS-HD MA 5.1 soundtrack, though much of the time, the mix stayed fairly subdued. It offered nice stereo imaging for music, and the score also spread smoothly to the surrounds. Effects usually went with a general sense of ambience, but they created a smooth sense of setting that also added good reinforcement from the rear. We got a couple of action scenes that opened up the track, but not many. These created a nice sense of place and movement in their brief appearances. Audio quality appeared solid. Speech consistently came across as natural and concise, and I noticed no issues related to edginess or intelligibility. Music seemed clear and vivid, as the score presented firm tones, and the percussive elements sounded especially good. Effects also appeared clean and accurate. In the end, the audio of Man served the movie well. How did the Blu-ray compare to the DVD version? The lossless audio offered a but more heft and depth, while the visuals seemed tighter and smoother. Though this wasn’t a dazzling presentation, it upgraded the DVD. The Blu-ray repeats the DVD’s extras, and we start with an audio commentary from director Spike Lee in which he provides a running, screen-specific chat. Recorded on his 49th birthday and immediately before the movie’s premiere, Lee discusses a mix of topics. Lee gets into cast and performances, locations and set design, the flick’s visual look and editing, improvisation, references to other works like Dog Day Afternoon, how he got the gig and its development, and a few other relevant subjects. At his best, Lee makes this a useful track. His strongest moments come from stories such as when he talks about the cast and crew softball team or his rant against the pervasiveness of violence in the music and video games. We learn a fair amount about the movie, and occasionally the funny, fiery Lee emerges. I like the part in which he stridently instructs us never to mention The Sound of Music to Christopher Plummer, though I wish he told us what incident provoked his strong warning. Unfortunately, the commentary drags a lot of the time. Lee often just narrates the film, and he frequently goes silent. This trend gets worse during the movie’s second half, and we encounter way too much dead air. I think we find enough good tidbits to make the piece worth the effort, but the flaws mean that it comes as a definite disappointment. 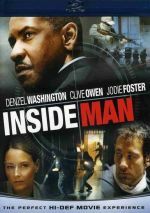 The Making of Inside Man goes for 10 minutes, 20 seconds as it presents notes from Lee, producer Brian Grazer, and actors Denzel Washington, Clive Owen, and Jodie Foster. The show looks at how Lee and Grazer came to collaborate and their work together, casting and performances, shooting considerations and Lee’s style, and research and realism. In no way should “Making” be considered an in-depth program, as it usually sticks with pretty superficial elements. That said, I like the footage from the set, and we see fun bits such as the cast’s first read-through of the script. There’s enough here to make the show worth a look. Next we find the 10-minute, eight-second Number Four, the title of which refers to the fact this is the fourth collaboration between Lee and Washington. We get remarks from Lee and Washington as they discuss their times together. Washington tells us which role he sees as the most difficult and other aspects of his performances. Both talk about their films, though in a fairly general way. They also address the status of blacks in Hollywood. Those parts are the most interesting, as their other remarks remain too superficial to give us much depth. “Four” is short enough to merit a viewing, but don’t expect a lot of good material. Five Deleted Scenes run a total of 24 minutes, 37 seconds. The majority of that time comes from the first one, “Frazier Goes to Work”, which lasts a whopping 17 minutes and 20 seconds as it shows an extended version of the post-robbery hostage questioning. This places all those segments in one place instead of spread throughout the movie ala the final cut. “Work” repeats some of the clips found in the completed version but adds plenty of other pieces. None of these would have added anything in particular to the movie, but they’re fun to see. The other four sequences include “No Woman, No Cry” (0:53), “Darius Compliments Frazier” (1:24), “News Reports” (4:08) and “Dalton Speaks of Case’s Sins” (0:51). “Cry” is an inconsequential but funny bit in which the cops argue about the meaning of the Bob Marley song, while “Compliments” shows a little chat between those two characters. “Reports” displays an extended version of the TV footage seen in the movie, and “Sins” gives us a very minor expansion of a segment already in the flick. Again, these are good to see but don’t bring a lot to the table. Spike Lee “goes commercial” with Inside Man, and the results make me hope he does so again in the near future. The film crackles with energy and involves the viewer with its tight, tense narrative. 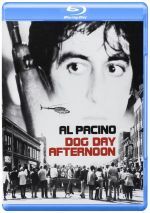 The Blu-ray offers generally positive picture and audio along with a decent set of supplements. I like the movie a lot and find this Blu-ray to serve if fairly well.